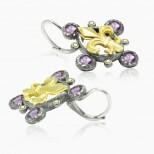 .925 Silver, Gold plated center fleur de lis part. Antique blackened and a hammered finish. Total length 32.8 mm (1 1/4th inch), width 23.6 mm (almost inch), thickness 4.9 mm. Amethyst 4 mm diameter. 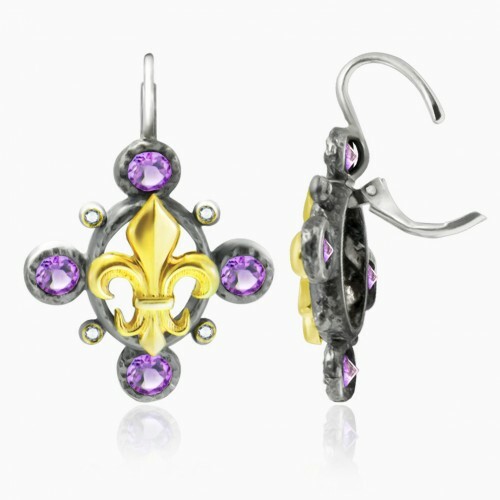 Diamond weight 0,08 ct, SI clarity, G-H color. Can be any stone for a custom order.